Dreadnought (game, 2017). A combat flight simulation video game by Grey Box/Violent Tulip. Developed by Yager Development, Grey Box, YAGER, Six Foot, Violent Tulip, Six Foot Games. Official Trailer. 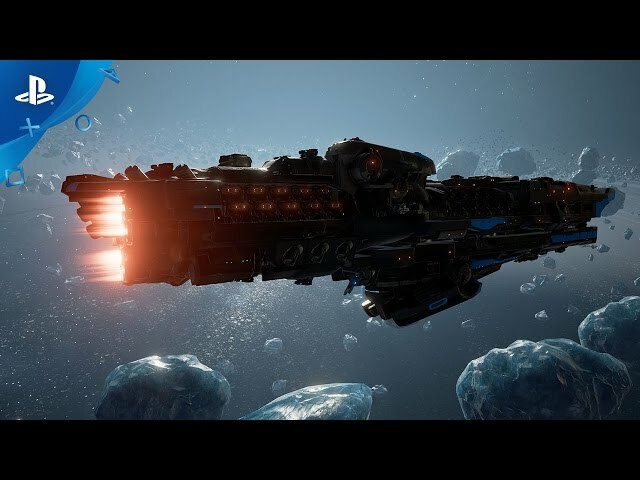 Dreadnought is a combat flight simulation video game by Violent Tulip and Grey Box, developed by Yager Development, YAGER, Six Foot, Six Foot Games, Violent Tulip and Grey Box. 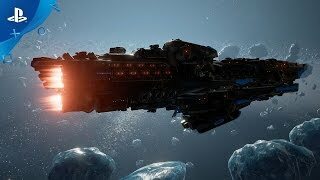 Dreadnought - PlayStation Experience 2016: Announcement Trailer | PS4. The player is the captain of a large spacecraft and uses projectile weapons to attack. The player is able to choose between several classes of ships, each with drawbacks and advantages in categories like speed and size. The ships are massive and are intended to give the feel of being a commander, not a rogue bounty hunter. As a result, gameplay involves large amounts of strategy and positioning. In addition to positioning the ship and choosing targets, the player may also allocate power to various parts of the ship. These areas include shields, weapons and engines. In multiplayer, coordinated attacks and focus fire are important. Other players may choose to heal a damaged teammate. Matches last around ten minutes and players may switch ship classes after death depending on the match type. The player is the captain of a large spacecraft and uses projectile weapons to attack. The player is able to choose between several classes of ships, each with drawbacks and advantages in categories like speed and size. The ships are massive and are intended to give the feel of being a commander, not a rogue bounty hunter. As a result, gameplay involves large amounts of strategy and positioning. In addition to positioning the ship and choosing targets, the player may also allocate power to various parts of the ship. These areas include shields, weapons and engines. Dreadnought was scheduled to be released by Grey Box and Violent Tulip on August 1, 2017, on December 5, 2017 and on October 14, 2018.